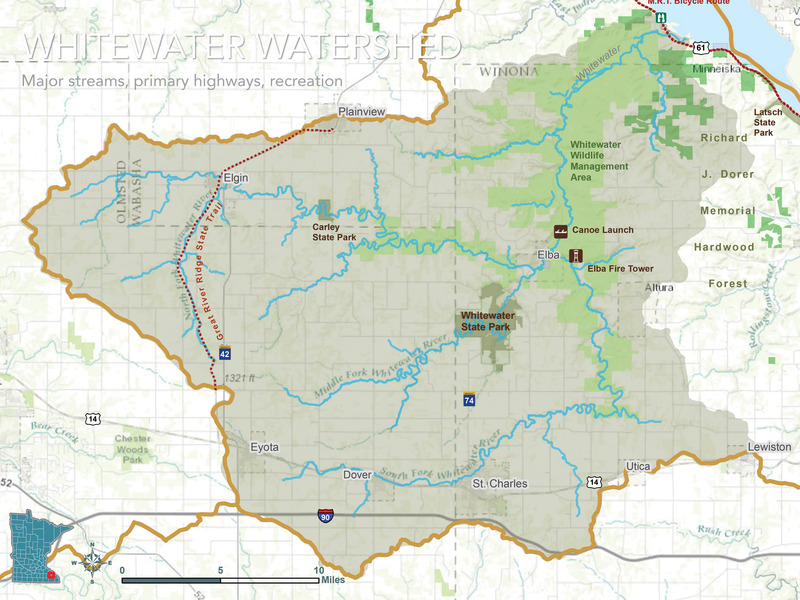 The Whitewater River Watershed Project works for better water quality, less erosion and flooding, habitat for diverse plants and animals, and a land stewardship ethic among citizens who live, work, and play in the watershed. Work is directed by the Whitewater Joint Powers Board, a group of elected commissioners and Soil and Water Conservation District directors from the three counties. Citizens may join them for regular meetings on the third Thursday of each month at Whitewater State Park Visitor Center, 8:30 a.m. Current projects build on citizen work begun in 1938, when the Whitewater River flooded 28 times, burying farms and the town of Beaver in silt. Farmers responded then by voluntarily adopting new tillage and management practices, which reduced erosion and flooding and improved farms. Minnesota’s first Soil & Water Conservation District was established here then, to lead and assist. Concern about massing sediment at the confluence of the Whitewater and Mississippi Rivers brought landowners and local, state, and federal conservation staff together in 1987 to look at upstream sources. A successful erosion reduction project on the Middle Whitewater River led to more opportunities, so the Joint Powers Board formed in 1989 to facilitate shared work. 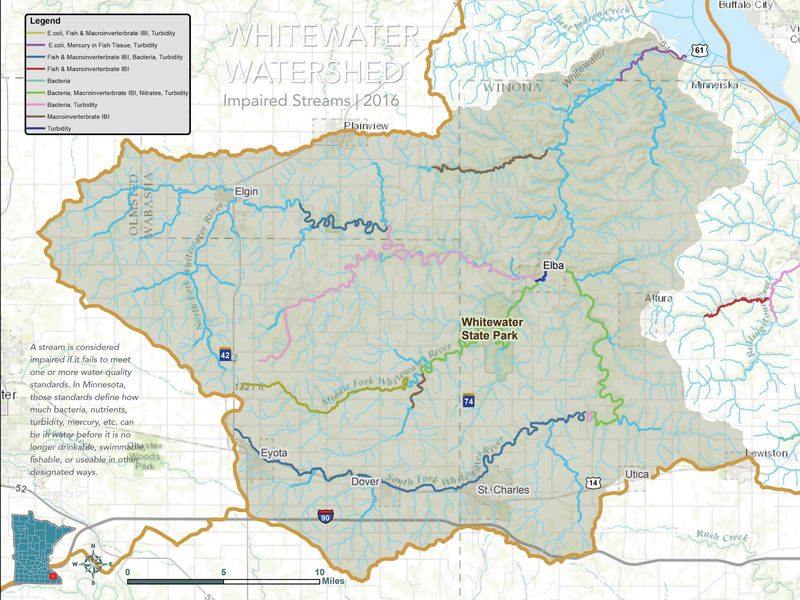 The Whitewater River and tributaries drain 205,000 acres in southeast Minnesota. The 16.6-mile main stem forms where the North and Middle Branches flow together at the town of Elba. A third main tributary, the South Branch, enters the main stem a short distance downstream. 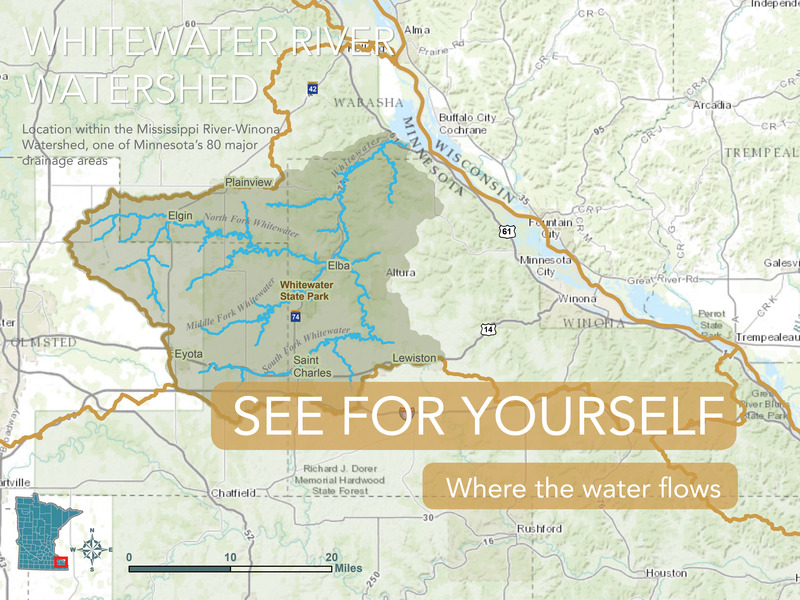 Whitewater and Carly State Parks are located in this watershed. With adjacent wildlife management and state natural areas, they offer thousands of acres of natural habitat and year-long outdoor recreation opportunities. The Whitewater River lies within the Mississippi River-Winona Watershed, one of Minnesota’s 80 major drainage areas. At the direction of the Minnesota Legislature, water quality goals and a working action plan are established every 10 years in each major watershed. Work is carried out, and results are measured and reported. 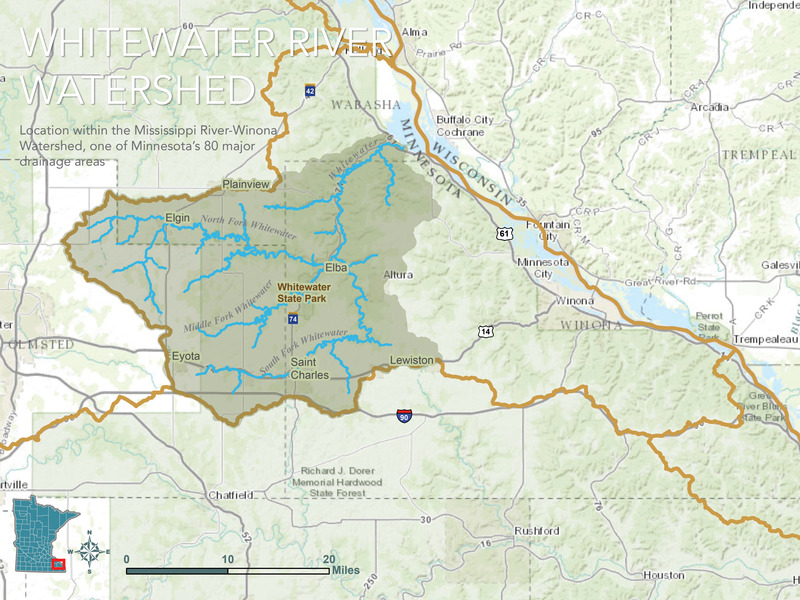 That process is facilitated in the Mississippi River-Winona Watershed by the Whitewater River Joint Powers Board. 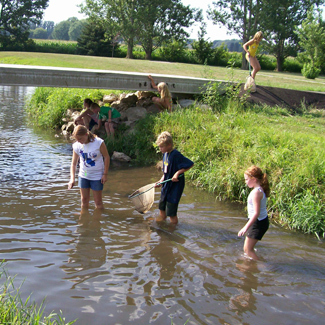 To encourage voluntary conservation of farmland, streams, and groundwater, 26 farmers in the Logan Creek and Middle Branch areas established a farmer-led council in 2011, with support from the Whitewater River Watershed Project and funder Fishers & Farmers Partnership For the Upper Mississippi River Basin. Work focuses on local solutions and has included surveys; field tours; multi-year field trials and data sharing; council-selected projects; financial incentives; education events; public speaking; mentoring; and connecting with neighbors both informally and in facilitated community conversations. Minnesota Department of Agriculture piloted its Agricultural Water Quality Certification program here in cooperation with the council. 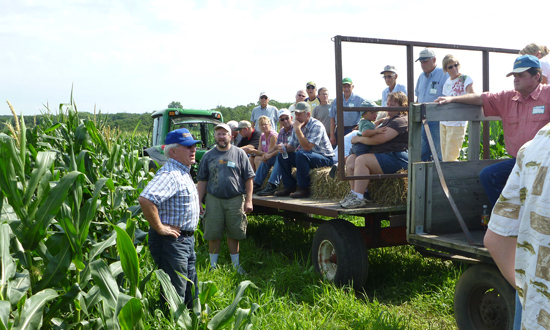 Members participate in the program and encourage neighbors to use its methodical approach to farm and stream health. Tap box to find programs, resources, and local contacts. Active forest management on private lands is essential for watershed health. Access information from Minnesota DNR. Develop a forest management plan. Reduce taxes with Sustainable Forest Incentive. 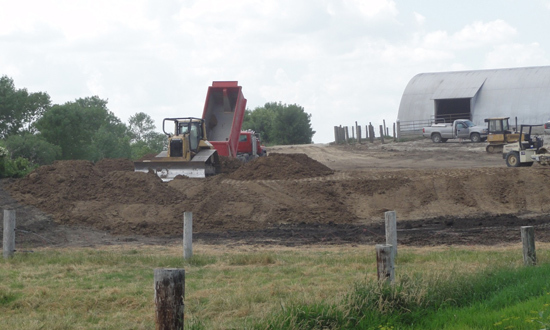 Ensure long-term productivity with soil health and erosion prevention. 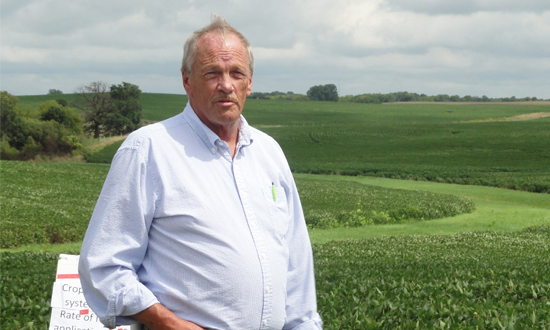 Insist on a full conservation plan when working with your crop advisor. Access resources of area nonprofits. Talk with a specialist at your local Soil & Water Conservation District office in Olmsted, Wabasha, or Winona Counties. Properly install and service your onsite sewage treatment system to keep harmful bacteria out of water. Learn how systems work. Hire a licensed professional to install and service. Adopt a maintenance schedule. Apply manure and commercial fertilizers to land precisely, only where needed. 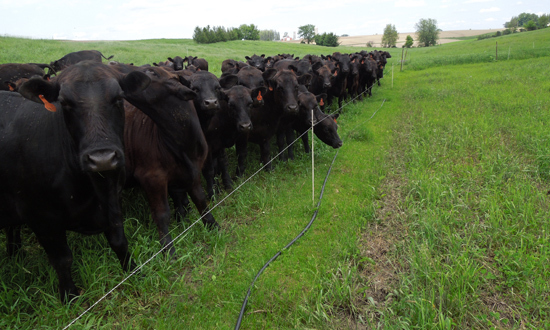 If you have livestock, store manure where water will not move nutrients to streams and groundwater. Apply manure with an eye to the weather, and never on frozen ground. If using commercial fertilizer, access new technology to know precise field nutrient condition. Aim to use less, and access funding. Act for our most precious resource, essential to health. If using a private well, test your water. Dispose of hazardous liquids in designated places, not on the ground or down the drain. Return unused medications to pharmacies, hospitals, or other designated disposal sites. If you are farming, minimize and precisely apply nutrients and herbicides. Citizen stream monitoring provides important information for decision making and water protection. Volunteer stream monitors are an important part of Minnesota’s watershed approach to protection and restoration. Changes over time in transparency, appearance and recreational suitability help measure improvements or declines in water quality. Select box to access documents and learn more. 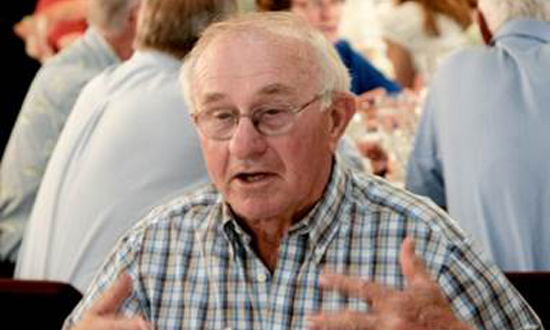 Promoting action and a land ethic for healthy soil, water, and life.